Mindful eating has definitely become a health and wellness buzz word. So, let’s unpack what mindful eating is really all about. Mindful eating has evolved out of the more traditional mindfulness philosophies. Think Eastern meditation practices like Buddhism. So, it is the application of mindfulness to our interactions with food and the act of eating. Put simply, mindful eating is about focusing our attention, on purpose, on the act of eating, without any judgement. It involves eating with awareness of all of our senses- our sight, sound, touch, taste and smell. So, it goes a bit deeper than just eating slowly and chewing our food properly without the TV on…! But, unfortunately, the diet industry has latched on to the hunger/fullness part of mindful eating and are proclaiming that if we are eating mindfully we will, in theory, eat less and that eating less will result in weight loss. This is waaaayyyyy too simplistic given we know that there is so much more involved than just calories in versus calories out. 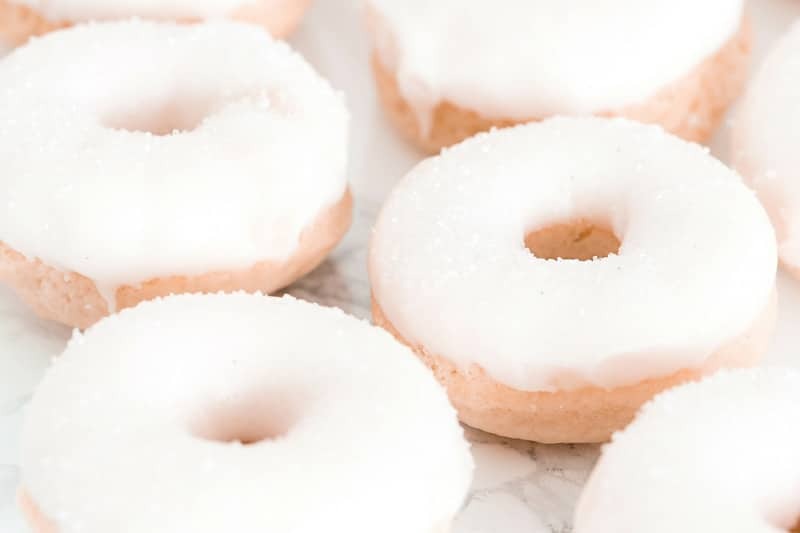 Treating mindful eating like any other weight loss strategy means when it doesn’t work in the way we were expecting (i.e. when the weight doesn’t just melt away), mindful eating is seen as yet another thing we have failed at. And what happens when we fail at a diet? We give it up and move onto the next thing. Which is a real shame, as we are potentially missing out on all of the benefits that mindful eating can bring to our life. Bottom line is: if someone is pitching mindful eating to you as a way to lose weight, or as a way to ‘curb your cravings’, they don’t fully get it and you should be hightailing it out of there! Thanks to our diet and weight-obsessed culture, eating and food have become complicated. We are constantly bombarded with new, and let’s face it, confusing, rules about food. The one seemingly consistent message, however, is that food is something that should be controlled and that eating in excess is a bad thing. We start to believe that our eating and food choices are a reflection on our character and worth as a person. So, the most valuable thing mindful eating can do is help to tune out all of that external noise and chaos and bring us home to our body. It helps us turn down the volume all of that chatter and anxiety in your mind about whether we are doing the ‘right thing’ or being a good person when it comes to eating. Mindful eating helps us to trust that our body has the wisdom within it to guide food choices and to eat in tune with our appetite – there are no meal plans, calorie counting, or app tracking required! And when we become more in touch with the internal signals our bodies send us about when to start and stop eating, a bit like Goldilocks, we eat the type and amount of food that feels ‘just right’ and are not left feeling hungry after a meal or feeling the discomfort of overeating. The act of eating can turn from something that is stressful, hectic, or a chore into something that is calming and pleasurable. After all, nourishing our body with food is biologically designed to be pleasurable! meh, this seems like hard work. where would I even start? Spoiler alert: you can’t get mindful eating right or wrong – so long as you are giving it a go. With mindful eating, we are trying to move away from rules. So, if you come across a mindful eating ‘tip’ that sounds a bit prescriptive, like ‘make sure you put your knife and fork down between each bite’, or ‘chew each mouthful 40 times’, or ‘stop eating when you are 80% full’, then you want to give them a wide berth. Instead, start where you are and start small. It could be something as simple as asking yourself the question “Am I hungry?” and “What do I feel like eating?”. These questions allow you to be instantly more mindful because in order to answer them, you have to take a pause and check in with what your body is feeling and telling you. 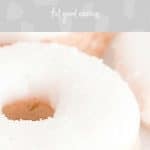 I also love this video by dietitian Fiona Sutherland from Body Positive Australia on how you can start mindful eating with 1 Mindful Bite. Or if you are wanting some help starting your own mindful eating practice, I would love to invite you to join me for A Taste Of Mindful Eating. It is my online program which, as the name suggests, gives you a taste of mindful eating. 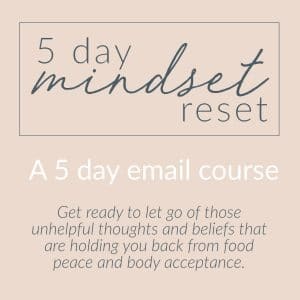 In it you will learn the practical skills of mindful eating and transform the connection with your body’s inner wisdom, so you never have to diet again! Whatever you decide to experiment with, keep in the back of your mind that mindful eating is about eating without judgement. Remember to be kind to yourself, get curious and don’t take things too seriously. Have fun exploring! 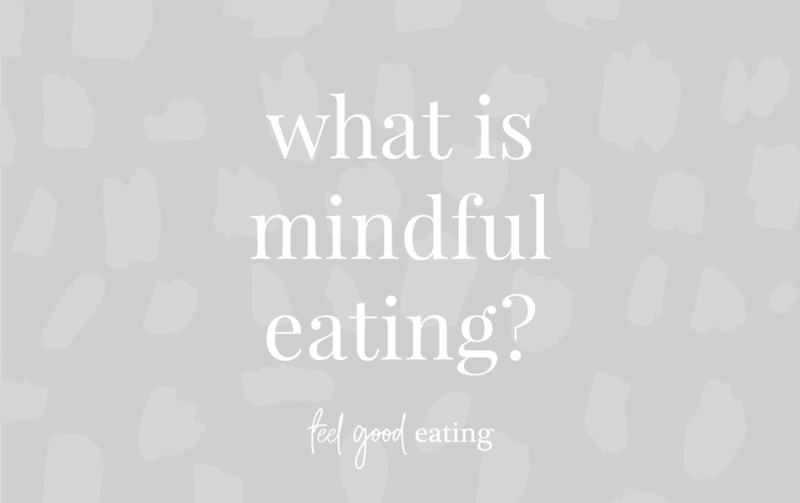 have you tried mindful eating? do you have any tips for someone starting out? You are most welcome – thanks for taking the time to read. I’m so glad I found your blog, I have mostly overcome the dieting curse, but it’s good to read others, like you, who have the same mindset. This lets me know I am still on the best path and keeps me encouraged. Thanks for the work you do. Thank you Mary – you sound like you have done some hard work to get to where you are.